Teach your children the basics of crochet in a clear way that’s certain not to have them tangled in knots. 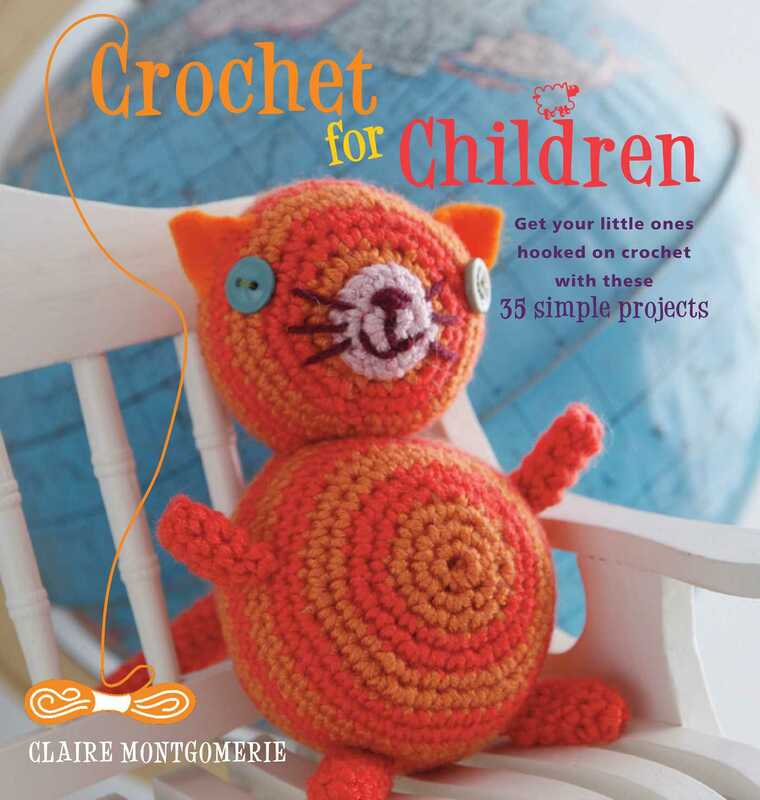 Claire Montgomerie steps away from traditional methods of teaching crochet to kids and presents 35 brilliant projects that are fun and simple rather than complex and boring. By working through the easily digestible lessons, children will quickly develop the skills needed to make cool MP3 holders, mittens, jewellery, hats, dolls, teddy bears and more. There are four chapters, each featuring projects for beginners, intermediate and confident crocheters, so once the simpler projects have been mastered, your child can move on to the next challenge. The comprehensive techniques section describes everything from holding the hook correctly to crocheting in the round. All the stitches needed are explained with helpful photographs and clear instructions and in no time, any child will be working with yarn like a pro, ready to tackle all the patterns. The yarns have been selected for their ease of use and are often specially formulated for children to be kind to skin as well as being durable and easy to wash. Claire also shares tricks and tips gathered from her sell-out crafting classes, where she has taught hundreds of children the joys of crochet.